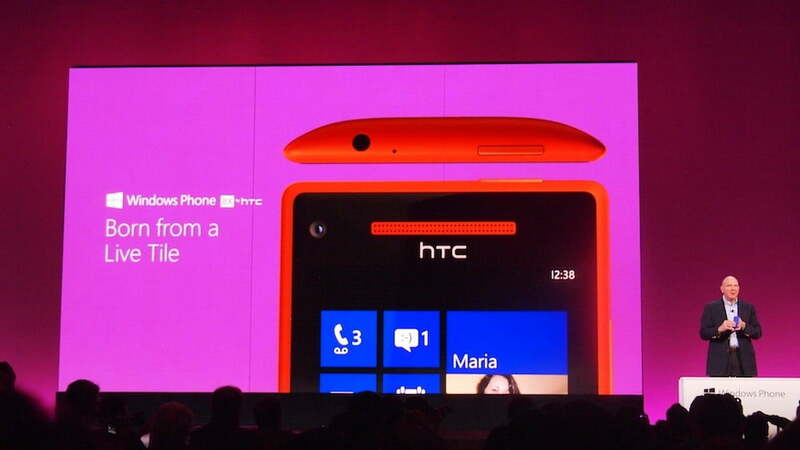 At the Windows Phone 8 event, Microsoft officially launched its new smartphone operating system. Most of the features of this OS have already been announced and demoed, but the company had a few extra surprises for launch day. 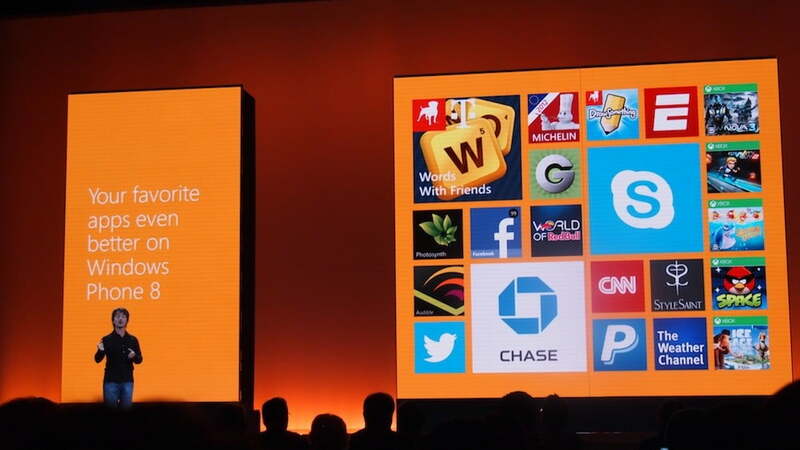 Microsoft expanded on the customizable Live Tiles, and introduced a lock screen powered by Live Apps. 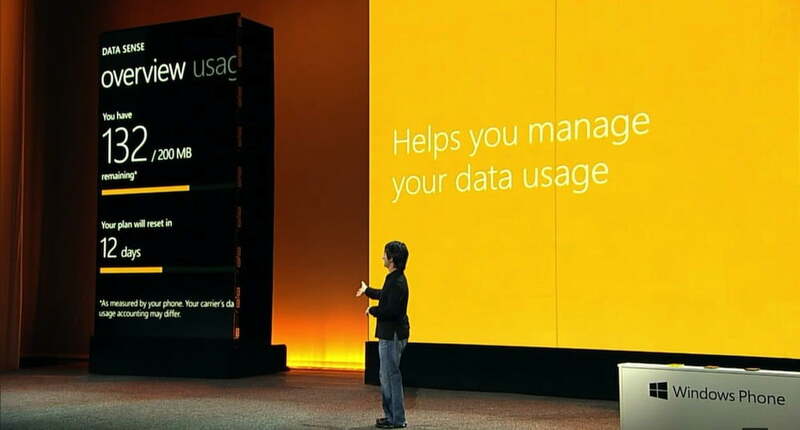 Among other new features, Microsoft also introduced Data Sense to keep users from exceeding data limits, Kid’s Corner to keep young people away from apps you don’t want them to use, and Rooms for the people you care about. Let’s take a quick look at these new features. 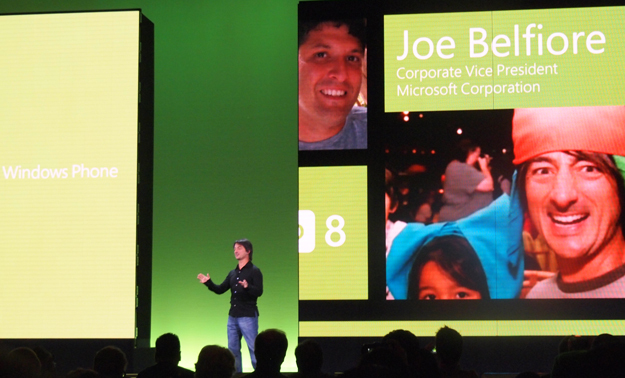 WP8’s Live Tiles are new to this version of the operating system. They allow users to see important information at a glance, such as number of emails, “@” mentions, and other notifications. Plus, you can resize them to give the more important and content-rich tiles prominence. Microsoft is now extending that functionality to the lock screen. Instead of just featuring a static image each time, the WP8 lock screen is powered by Live Apps, so you can see notifications, text, and even ever-changing pictures. The new Facebook app got a special shout-out for the lock screen functionality as it will serve up different random pictures from your account. Users will be able to customize what apps can send info to the lock screen and, depending on the app, what info you get. Kid’s Corner provides functionality right out of the box that will make a lot of parents breathe easily. Kid’s Corner is a special sub-account on your phone that you can activate when your children want to play with it. 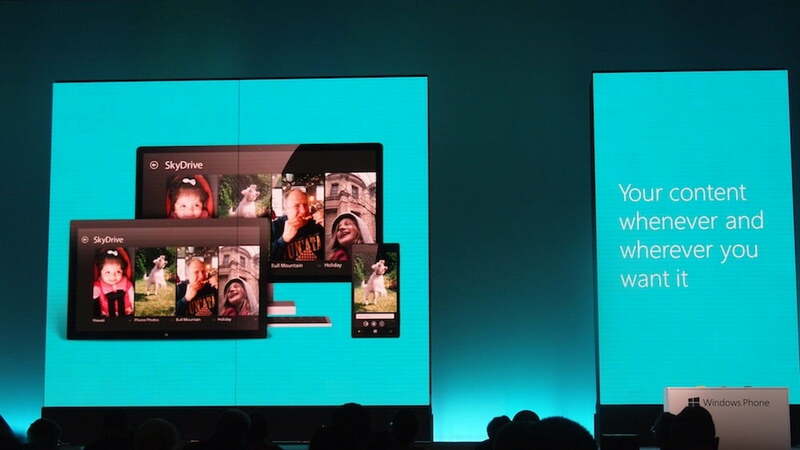 Parents will be able to choose which apps, games, and media their kids have access to, and children can even customize their own tiles and add their name to the phone. We didn’t see password protection in the demo for this feature, but it wouldn’t be surprising if that’s available in the settings as well. If you don’t want Kid’s Corner, you can simply turn it off from the Settings. Going with the theme of Windows Phone 8 as a more personal smartphone experience, the People Hub now has a neat sub-feature called Rooms. Users can put groups of contacts into rooms for a more intimate experience. 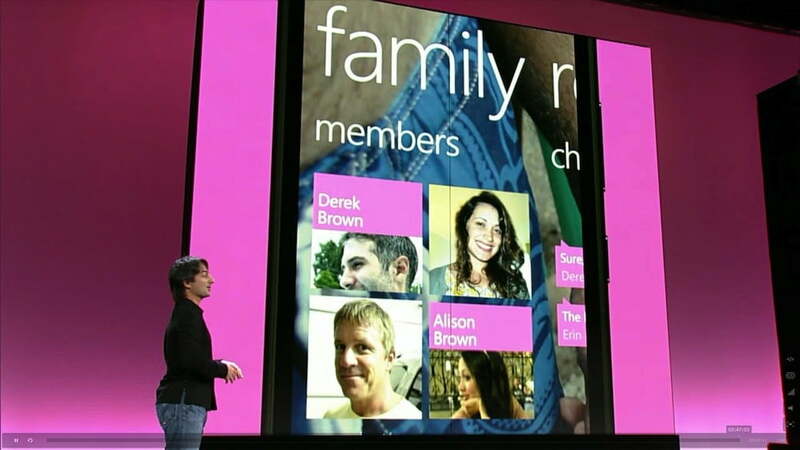 Each WP8 device will come pre-loaded with a family room, but you can add others for close friends, co-workers, and more. Once inside of rooms, users can send private messages to the group, see photos, share locations (important for families), view and edit a shared calendar, plus create shared notes using OneNote. All of these features work together and live together in one area so you’ll always know who you’re sharing information with, eliminating the need to worry about privacy. The Rooms feature will work best with Windows Phone, but some aspects, such as the calendar, can work with other operating systems, such as iOS. Not only does Data Sense help phone owners to keep track of how much data they’re using, it also includes tools to help them use less. This is a great feature for people on limited data plans. Data Sense will show users how much data each app uses. When it’s on, the built-in browser will compress Web pages at the server level so that they use less data and don’t eat up precious megabytes. If you get close to your data cap, the phone automatically offsets data — often by connecting you via WiFi — so that you won’t go over. 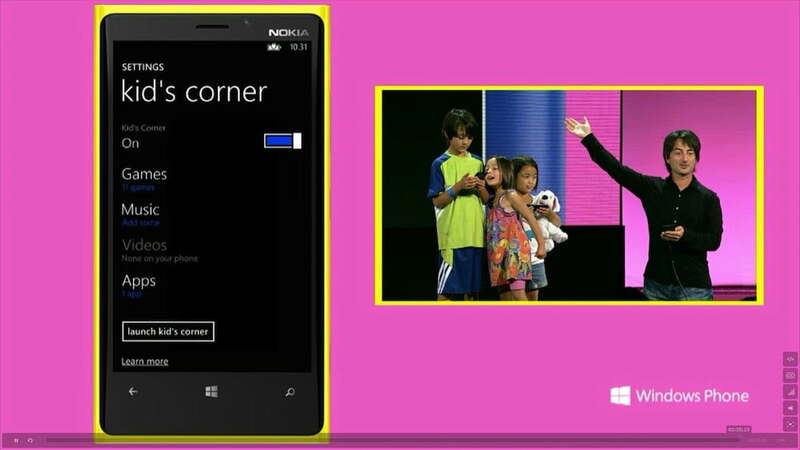 Data Sense’s Live Tile will offer up this information right on the Home screen. Verizon Wireless will be the first carrier to support Data Sense with AT&T and T-Mobile following later this year or early next year. In addition to these new feature announcements, Microsoft also, once again, touted its SkyDrive service. The company announced that SkyDrive users will get 7GB of free storage, and the documents, photos, and other media they sync there will stay in their SkyDrive as long as they have the account. The demo of the seamless syncing and integration offered by SkyDrive was pretty slick, but whether or not it’s better than DropBox or SugarSync remains to be seen. Microsoft also announced some new titles to its app store, including Skype, Twitter, Temple Run, and Pandora. The Skype app is now so well integrated that it can run in the background without using up a ton of battery power. Pandora won’t be available until 2013, but when it does comes out, WP8 users will get a year of ad-free listening. As for the rest of the choices, 46 of the 50 top apps will be in the store and ready for users to download when WP8 phones come out next month. Overall, it looks like Windows Phone 8 is going to deliver on the promise of making your smartphone experience a more personal one. And given the smooth integration with Windows 8 for computers and tablets, Microsoft may be a contender in the mobile space again.